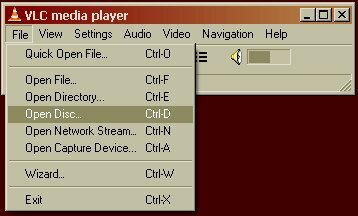 I assume you have VLC player installed and you have a file or DVD with subtitles which you want to display when you are playing the Video. 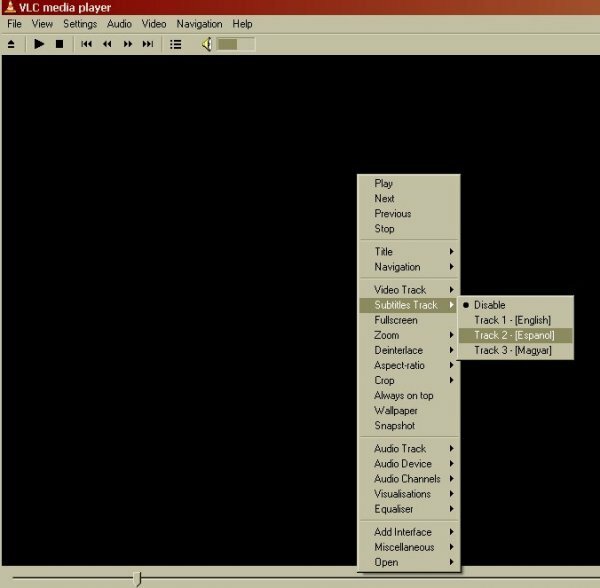 There are three ways you may want to use VLC to display subtitles. 3) From a separate subtitle file which is distributed with the Video file. To do this put the DVD disk into your DVD drive. Open up VLC player and select File > Open Disk. The menu page of your DVD should appear. Click on the video you want to watch. Then when the video starts quickly right hand click the mouse on the Video image. Select the Subtitle track you wish to view. The subtitles should then appear on screen. You then see this screen. You should then click on the Browse button to select the video file you want to play. If this file is a matroska file with an *.mkv extension then you can click OK after browsing for the file as the file already has the subtitle infomation. Using VLC to play Video file with external subtitle files. If you want to play an external subtitle file for example a srt file. In the Open box click the Browse button and choose your video file. Then put a tick in the box Use a subtitle file, and click Browse to locate your external subtitle file. Then Select the subtitle language stream by right clicking the video screen and selecting Subtitle Track > and select the track of subtitles (for an external file like an srt file there will normally only be one track).